This handy little volume forms part of Pen & Sword’s ‘Battle Lines’ Series. Sub-titled ‘the western front by car, bike and on foot’, it does exactly what it says on the tin. At 150 pages the volume is easily digestible and easy to slip into a bag, glovebox, or pocket. 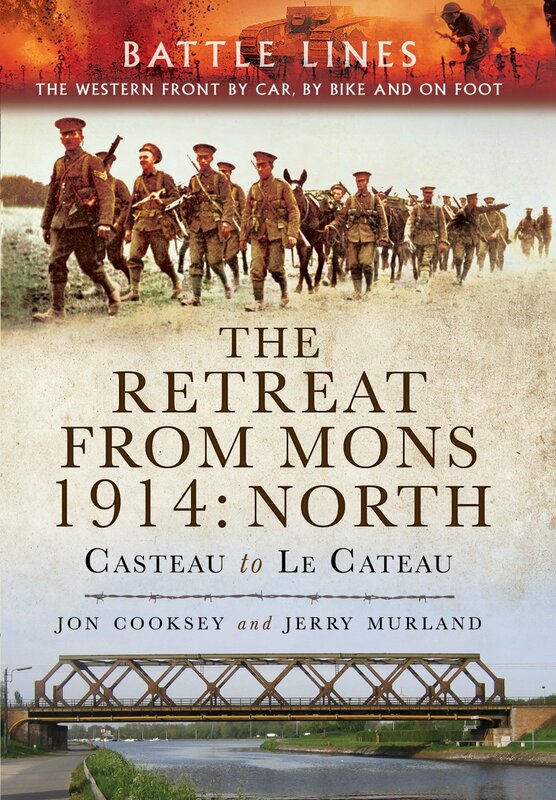 Jon Cooksey, known to many as the editor of the Western Front Association’s journal ‘Stand To!’, and Jerry Murland, who has penned several books about the Great War, are well-placed to offer their insight into following the route of the British Expeditionary Force during the opening stages of the war. Balancing a battlefield guide with the necessary contextual history can be a fine line; too much emphasis on one side can risk alienating the intended audience. Thankfully this volume manages to strike the right balance. Splitting the Mons action into two parts was probably the right thing to do, and allows more focus on the composite parts. The guide slips seamlessly from practical advice around accommodation and eateries to directing the reader to relevant sites of interest. The routes start with basic information about distance, co-ordinates, and relevant supplementary maps, before setting out the events and significance of the locations on the route. Personal accounts and war diary extracts are used to great effect to illustrate the experience of the soldiers involved. Murland’s knowledge of German records also makes for a more balanced approach. Contemporary and modern images are liberally used, and clear and simple maps complement the written directions and highlight the points of interest that are referred to in the text, although strangely there is not an overall map showing the path of the retreat. The book ends rather abruptly; a summary of events up to this point would have been beneficial, however this is only a minor quibble and I look forward to being able to use the book on a future trip.